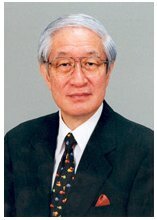 Ambassador Kato was born in Saitama Prefecture, Japan in 1941. He has been the Japanese Ambassador to the U.S. since 2001. Ambassador Kato is a very passionate baseball fan and strongly supports the growing Trans-Pacific partnership in baseball. He is also a big fan of the Babe and offered to do a written correspondence interview, discussing the Babe and baseball. We are honored to have his contribution on BRC. We present the questions and answers below. AK A1: “When I was a boy, baseball was the biggest sport in Japan. While there were many Japanese players who were considered heroes to Japanese children, my older brothers told me about Major League baseball and how much greater American baseball players were compared to their Japanese counterparts. Since it was the late ’40s and early ’50s, there was no TV coverage, no internet, and no way for Japanese baseball fans to actually watch MLB games. So I read everything I could about American baseball and it has been a life long hobby. AK A6: “Babe Ruth’s impact on Japanese baseball and sports culture in Japan was enormous. He impressed upon the Japanese the thrill of the homerun. He changed Japanese baseball, from ‘small ball’ to the ‘home-run age’ as we call it in Japan. During the time of Babe Ruth, there was no one even close to being the equivalent in Japanese baseball. In fact, it was only in 1946, when a Japanese player first hit 20 HRs in a season in Japan’s baseball history. Ever since then, the HR output has steadily increased in Japan. AK A10: “Concerning the sport of baseball, most knowledgeable Japanese fans are familiar with Joe DiMaggio, Ted Williams, Hank Aaron, and Willie Mays among others. Many of the current MLB stars are also popular in Japan. In other sports, some boxing champions are popular along with golfers, such as Jack Nicklaus, Arnold Palmer and Tiger Woods. Sumo wrestlers Akebono, Musashimaru and Konishiki canbe mentioned. (FYI, all three of the above mentioned sumo wrestlers were Americans living in Hawaii before becoming sumo grand champions). AK A11: “It is so hard to compare the current era with the baseball that was played during Babe Ruth’s time. Clearly, things are so different. But one thing that I find impressive is the Babe’s clear dominance over all other players during his time. When Barry Bonds hit 73 HRs, runner up Sammy Sosa hit 64 HRs. When Mark McGuire hit 70 HRs, Sammy Sosa again was the runner up with 66 HRs. If my memory is correct, during Babe Ruth’s time and before World War II, only three other players hit more than 50 HRs. They were Jimmy Foxx, Hack Wilson, and Hank Greenberg. Of those players, only Jimmy Foxx did it twice. Babe Ruth did it four times. Babe Ruth also has 11 seasons with 40 or more HRs. His closest challengers are Hank Aaron and Barry Bonds who have both had 8 seasons with 40 or more HRs. Babe Ruth’s dominance is absolutely overwhelming. Not only could he hit for power, but he has a life time batting average of .342.